Last night was the LAST Bunco of the year for my group. We all take the summer off and kick it back up again in September. 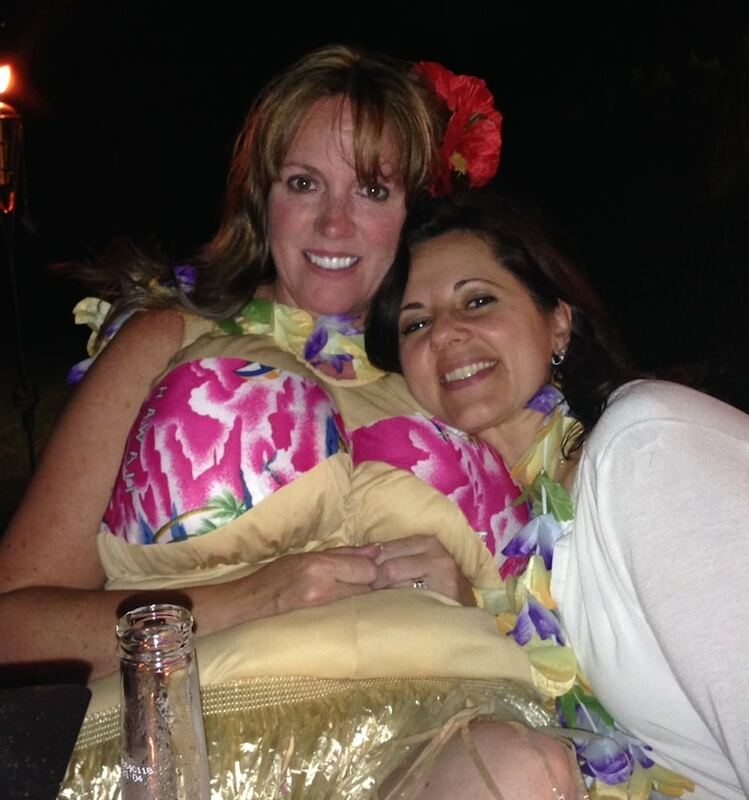 We ended it with a bang and had a Hawaiian Themed Party! Everyone was supposed to come dressed up but no one did… except one person. Miss Angela!! The life of the party. I swear – that girl is so much fun. The costume she had on was HILARIOUS. The party was outdoors and light was limited – so everyone was trying really hard to see what was going on. Made it really funny. At one point, we all took out our phones and used the lights to help us. Is that a 4 or a 5? WHO KNOWS?!! I kept getting my flipping paper wet and it basically crumbled by the third game. 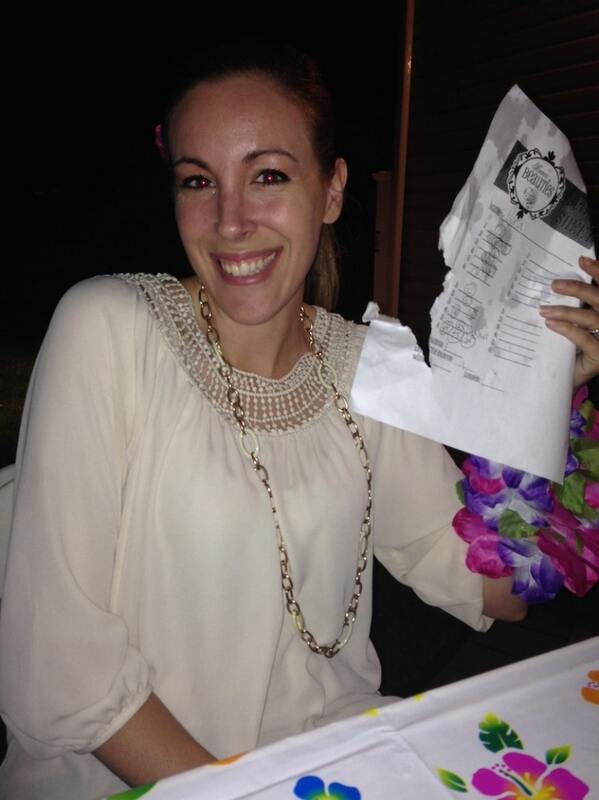 I was a straight up disaster and OF COURSE I DIDN’T WIN ANYTHING BECAUSE I NEVER DO. Don’t get me started on my luck. I can get the best parking spot anywhere and any time. But Bunco? I just don’t have it in it. Every month I make a $20 donation to the group. Someone gets their nails done on me every 4 weeks. You’re welcome ladies… you’re welcome. But here’s the best part! 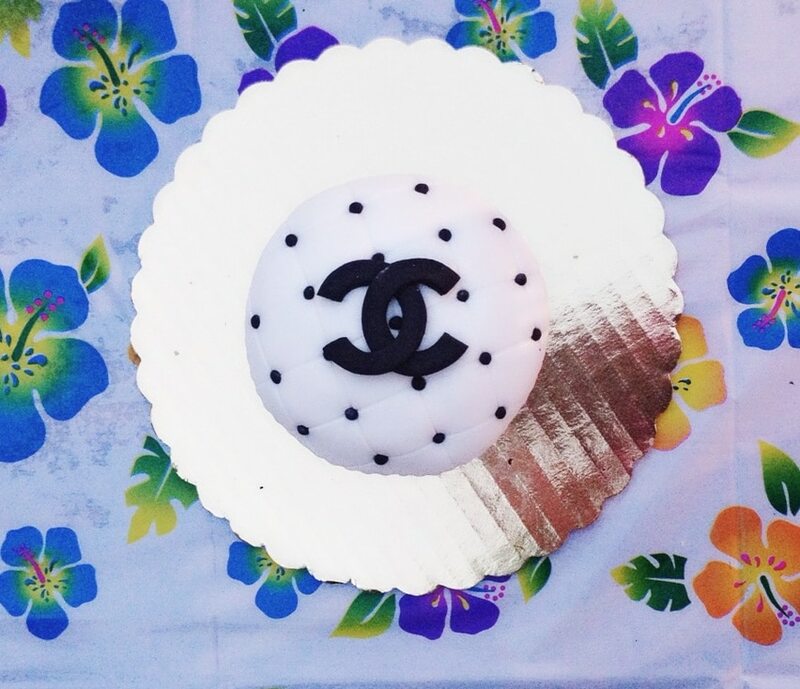 It was one of our friend’s birthday and someone had a Chanel cupcake custom made for her. Can you stand it?! ADORABLE!! We almost DIED when we saw it!!! 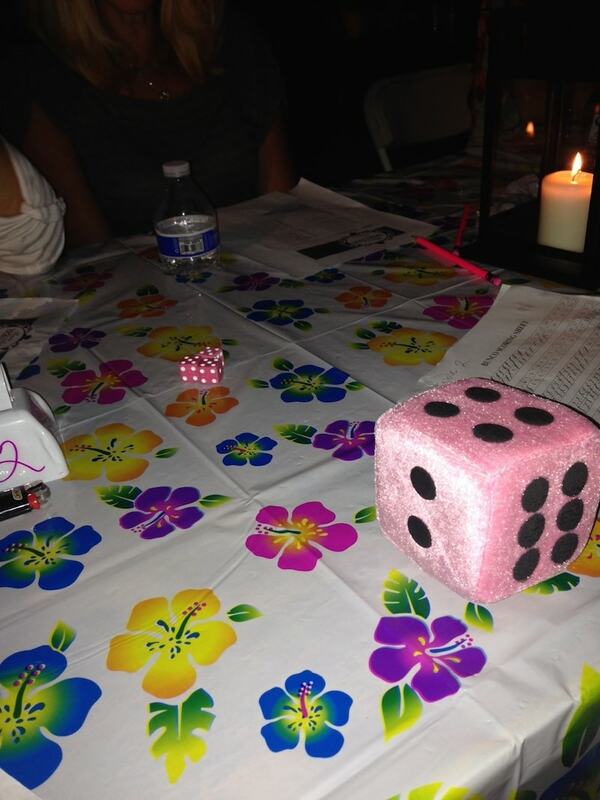 Love that you play Bunco. My mom plays with her friends and I have always wanted to get a group to play but it takes so many women to commit! What’s your secret! ?